Celebrate the race that stops a nation on Moama Bowling Club Melbourne Cup Day at the Echuca Races. Join the party with over 5,000 revellers enjoying country hospitably and a great day out. 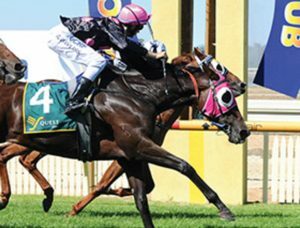 In addition to the excitement of live thoroughbred racing at Echuca, the day offers Fashions on the Field, live music, kids’ activities with the Melbourne Cup shown live on the big screens at 3pm. There are plenty of hospitality options ranging from an Umbrella Package to a ticket to the glamorous Diva Marquee. Celebrating it’s 11th year, this great ski race, “The Barrie Beehag” sees teams race from the start and finish point Deep Creek Marina, Perricoota to Torrumbarry and back. 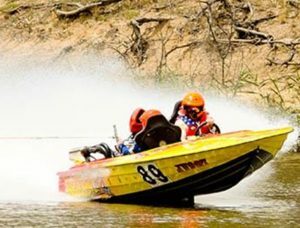 A great family day out and watch the excitement of the adrenalin fuelled ski-racing on the Murray Murray River. Starting at 10am, there’s fun to be had by all. 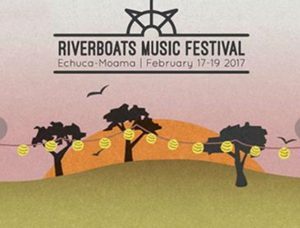 The Riverboats Music Festival takes place under towering river red gums in a natural amphitheatre next to the Murray River. Historic paddle steamers meander past all weekend, and occasionally the corollas get a bit raucous at sunset. We have one stage and plenty of room for dancing, brilliant artists and delicious regional food and wine. It’s probably one of the prettiest, inexpensive, laid-back, family-friendly festivals in Australia. Held on the 3rd weekend in February every year.